Edinburgh’s biggest comedy event returns to the Edinburgh Playhouse this year with an all-star cast. 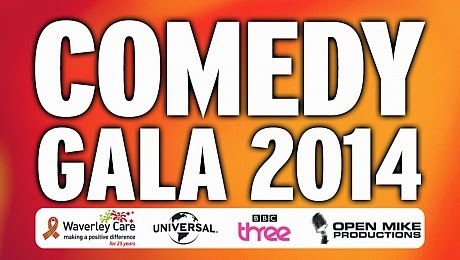 Kevin Bridges and Seann Walsh will host the gala in aid of Waverley Care on Tuesday 19th August. Today (Friday 4th July) Off the Kerb, who has been supporting the charity since 2003, has announced who else will be joining the line-up. Andrew Lawrence, Cardinal Burns, Romesh Ranganathan, Ivo Graham, Suzi Ruffell, Henry Paker, Angela Barnes, Marlon Davis, Shappi Khorsandi, Andrew Ryan, Des Bishop, Des Clarke, Mark Watson, James Acaster, Lucy Beaumont, Nish Kumar, Lloyd Langford, The Noise Next Door, Ed Gamble, and Alex Horne will be taking to the stage, making it one of the comedy highlights of the Fringe calendar. The event, which returns to The Playhouse after a sell out show last year, raises money for Scotland’s leading charity in providing care and support to people living with HIV or Hepatitis C.
Waverley Care runs support centres in Edinburgh, Glasgow and Inverness and offers a wide range of services to anyone affected by HIV and Hepatitis C. The charity also includes specialist services for those living in African communities, children and young people, gay men and people affected by drug misuse.